Move-in ready! A lovely updated 3.1 bedroom bungalow on a quiet picturesque street in a great family neighborhood in West Oakville. 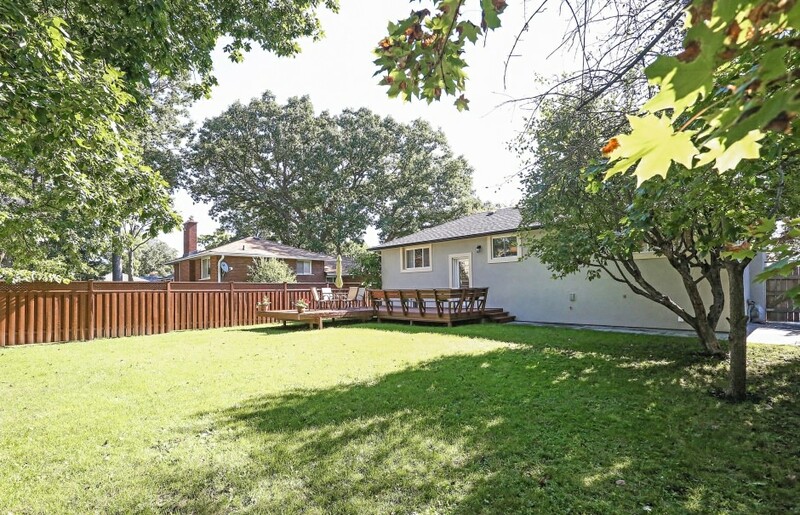 Situated on a great 60 x 125 ft lot, this home features hardwood flooring, pot lights and a beautiful backyard with a large deck, ideal for entertaining, all surrounded by mature trees and shrubs. Very well cared for with lots of updates, including eat-in kitchen with stainless steel appliances, oak cabinetry and granite countertops. Lots of natural light on the lower level with spacious rec room, extra bedroom and bathroom.